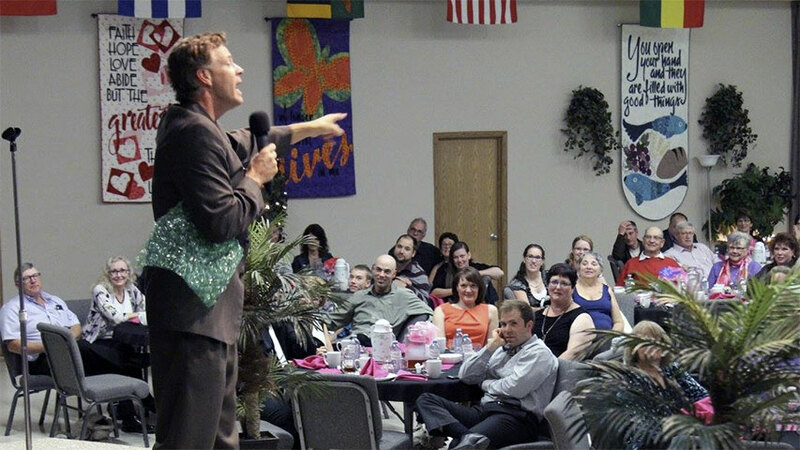 Find motivational speakers, comedians and clean entertainers in Saskatchewan for your next meeting or event. Each of the keynote speakers listed below have recently performed their highly-engaging presentations in Saskatchewan. "David Ferrell was on time, professional and connected with the audience. The evening was a huge success, netting $30,000 for the ministry." "Leslie Norris Townsend was fantastic! Young, old and everyone in between enjoyed themselves at our event. Our theme was JOY and Leslie went above and beyond the mark we had set for our event. She was great to work with." "Leslie Norris Townsend was an ABSOLUTE JOY!!! Everyone loved her. We are already planning an event for the latter part of 2013 including Leslie! Thanks soooooo much for recommending her." "Jerry Carroll is definitely someone who identifies well with growers! They all appreciated his genuine, down to earth humour!" A few of the towns our nationally-touring keynote speakers have performed in include: Estevan, Norquay, Regina, Saskatoon, Swift Current, SK and others.